Classes begin with a warm-up and then move into drills of basic stances, punches, and kicks. Depending on level, students work on forms specific to their advancement. Do I have to be in good shape to participate in a class? Every beginner is encouraged to go at their own speed. As with other activities, strength and stamina will improve the more you attend classes. Even at advanced levels, everyone is looking to improve physical ability. As with any physical activity, we encourage you to consult your physician if you have questions about your ability to participate in class. How is Kung Fu different from Tae Kwon Do, Karate, or Judo? Tae Kwon Do is a Korean martial art that emphasizes the feet as weapons. Karate is a Japanese martial art which concentrates on the arms and hands as weapons. Judo is a Japanese sport that involves mostly grappling and throwing, very similar to western wrestling. Do I need any background in gymnastics or other martial arts to join? No requirement other than motivation is required to join our school. We will teach you all the basics to build upon in order to advance through our curriculum, based on your goals and skills. The Shaolin philosophy is a combination of philosophical Taoism and Buddhism. The primary aim was to follow the Tao, the way of Nature. Only thus could the practitioner be in harmony with the Universe, and himself. However, our school is open to everyone, independently of their faith and beliefs. I want to study at the Shaolin Temple in China. Can you give me more information? 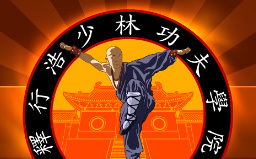 Shi Xing Hao trained at Shaolin Temple in China for many years. If you would be interested in studying over there, as one of our students, mention it to Shifu and he will discuss the different training options with you.